It's fall 2018 biggest fashion trend and I'm sharing how I'm wearing animal print right now! Animal print is everyone's favorite fall trend and perhaps one of the trickiest prints to wear as it's so easy to tread into tacky territory with one small misstep. So, I'm treading lightly by incorporating just a splash of it into my outfits. 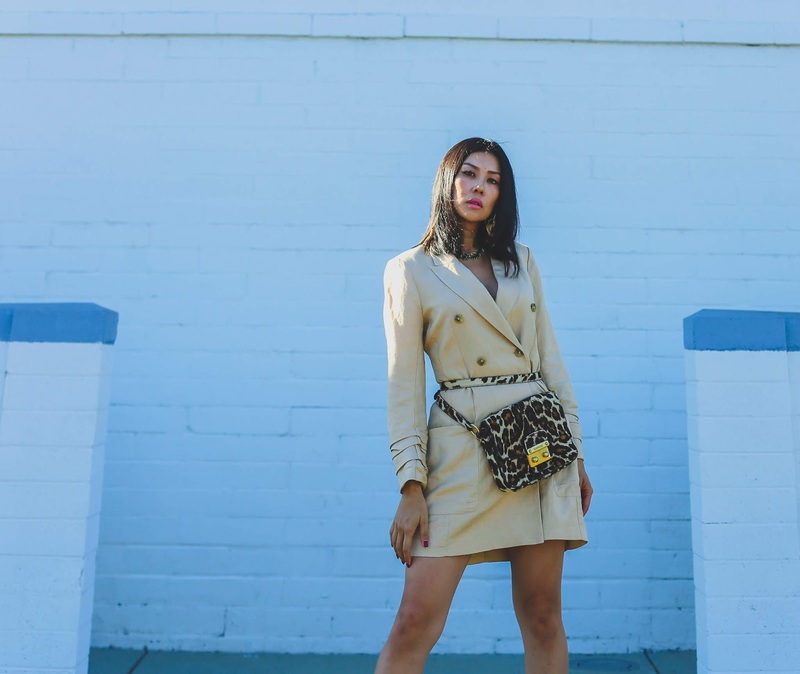 My Miu Miu leopard print waist bag is actually a cross-body purse that I've converted to cinch the waist of my oversized blazer to make into a dress.